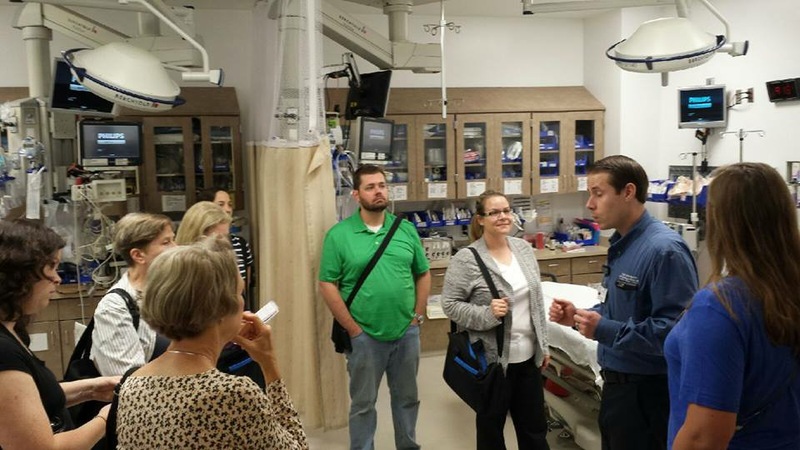 I recently had the pleasure of attending the KU Med Summer Teacher Externship. I decided to go because I am lacking in my knowledge of medical careers. The flyer said it was for health career teachers, and I decided A+P counted. Well, after attending, I’m here to tell you that this is not just a program for health science teachers, but for any biology teacher who thinks part of their role is helping to inform and counsel students about medical careers. The 3 days were packed completely full, but I will try to give you a glimpse of my experience. The program was a mixture of meetings with heads of admissions, libraries and tours of hospital departments and research labs. I started to write about every place we went, but it was an overload of info. I’ll just make a list. We talked to people with the School of Nursing, School of Medicine, Health Information Management, School of Health Professions (a school which includes clinical laboratory scientists and occupational therapists), Public Health, physical therapists at the Heart Center and a medical illustrator/imaging specialist. In the hospital we toured and spoke to people in the emergency department, hospital pharmacy (with a ROBOT! ), hospital labs, and radiology. 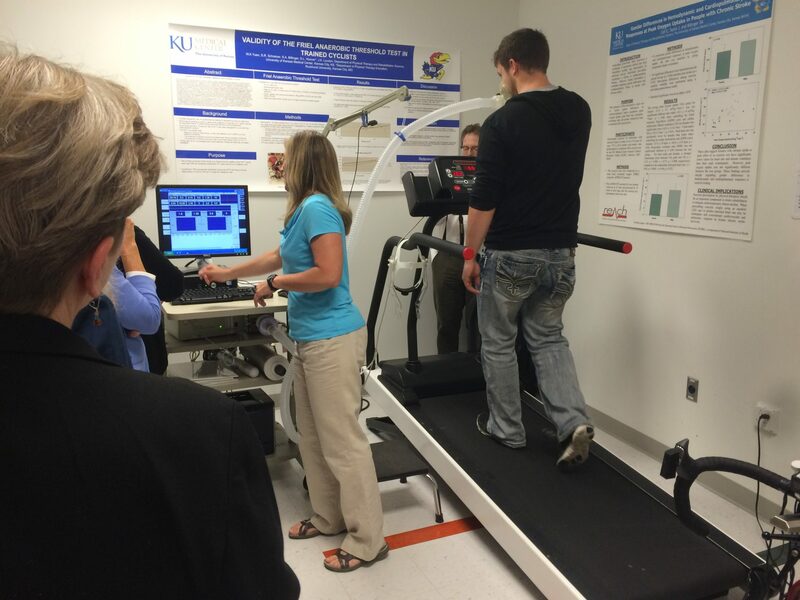 In the research part of KU Med we got to tour the orthopedics research lab, REACH lab (physical therapy), the Hemingway Lab which does research with reproductive health and ovarian cancer, and the brain imaging lab where they do research on humans and mice using MRI and Magnetometer. It was awesome and exhausting! Everyone was very nice and we were able to ask a lot of questions. They have so much passion for their work, and gave me lots of information for me to share with my students. I now feel more prepared to be an advocate for my students. I can give them much more information about health care careers, and I can help them prepare for their next step in education after high school. This was also very insightful because most of my students who want to go into a medical career think doctor, nurse, physical therapist and maybe anesthesiologist. But there is so much more! And, while not everyone can be a doctor, there is a career in healthcare for everyone. It’s also motivated me to want to learn MORE and find additional resources for them. If you’re interested, you can e-mail the coordinator Seth Nutt (snutt@kumc.edu). I feel bad leaving so much out, but I learned so much, too much for a blog post. So, you’ll just have to go next year! This is the trama room in the ER. We learned some about the logistics of how the ER works, and about the type of people who work at such a high stress job. 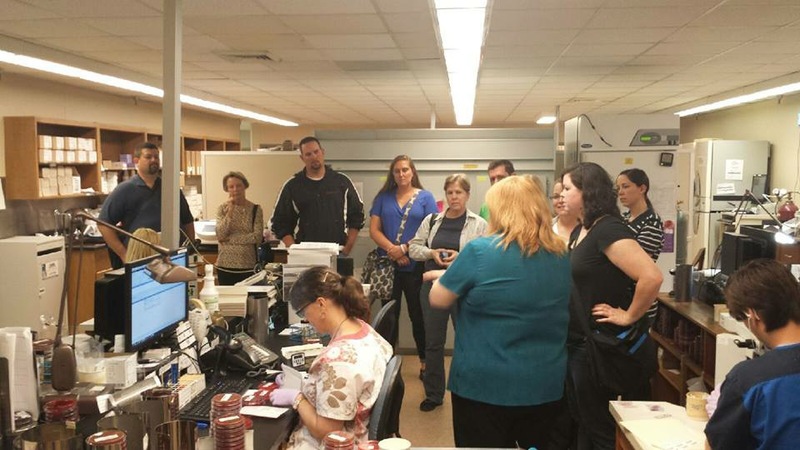 We toured the hospital labs. This is the micro lab. It was so interesting to see how these run in such a large hospital. Clinical laboratory scientist is a great option for students who want to work in the medical field, like lab work, but don’t want to directly work with patients. At the brain imaging center, a researcher told us about the logistics of doing brain research with mice. 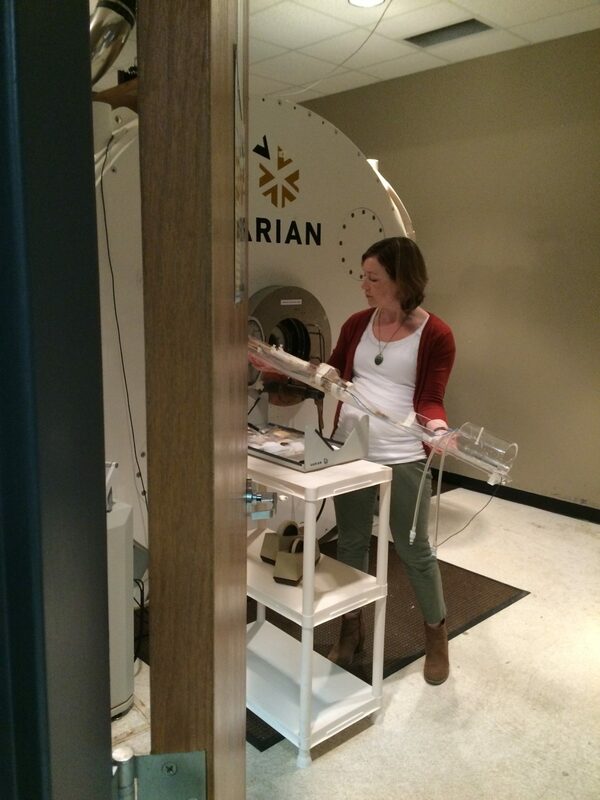 This is the small rodent MRI machine. She researches head trauma in old vs. young brains. It was fascinating. Dr. Billinger at the REACH lab is a physical therapist. Here she was showing us a little about stress tests. They do a lot of different research, including some research on people who have an increased risk Alzheimer’s. Notice all the posters on the walls? They were in all the research labs. 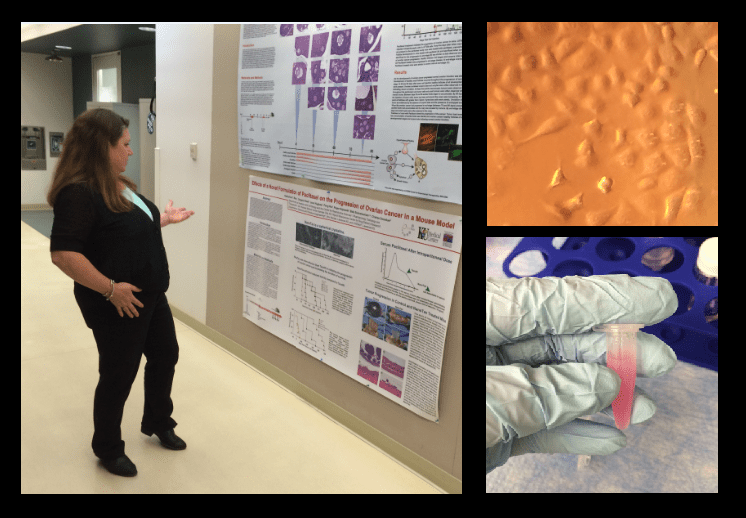 It was awesome to see, and gives me much more to talk about with my students when we create research posters.